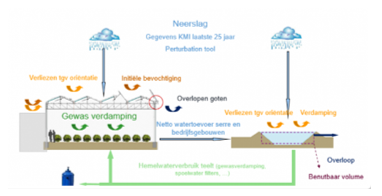 The aim is to investigate in which European areas rain water storage is an economically feasible option to provide qualitative irrigation water and to give first insights for the dimension of rain water storage for specific regions and crops. 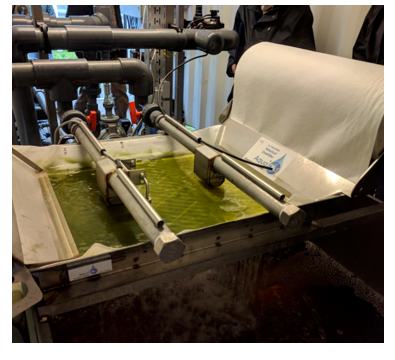 Main objective of this project is to show farmers new environmentally friendly method which can help them to prevent their water from algae blooming using Dyofix (blue dye). Main objective of this project is to show farmers new method (environmentally friendly method) which can help them to prevent their water from algae blooming. 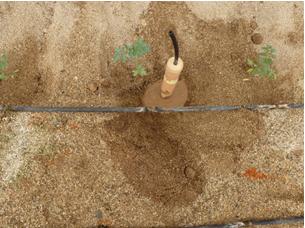 The main objective of this project is to showcase new innovative technologies that can help growers to improve their management of fertigation for soilbound vegetable crops. 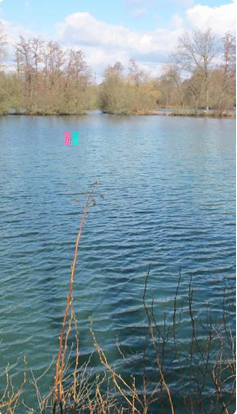 For water management, we used capacitance probe and for fertilisation management, we used suction cups, leaf and sap analyses. 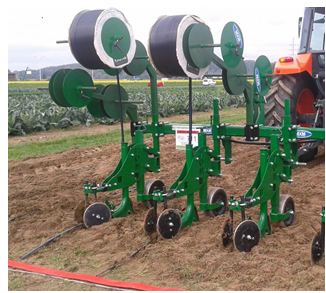 Them main objective of showcase is the installation of probes to monitor soil moisture and create a model of irrigation for apples and testing the proper functioning mode. The main objective of this project is to showcase that the use of micro-irrigation in open field zucchini can help growers to improve their management of fertigation and irrigation. The main objective of this showcase is demonstrate to farmers and irrigation communities the utility of soil water content sensors and soil samplers technology to increase the water and nitrogen use efficiency. Four plots within the “Acequia Real del Jucar” irrigation community have been selected for monitoring soil water content and soil solution nitrate concentration. 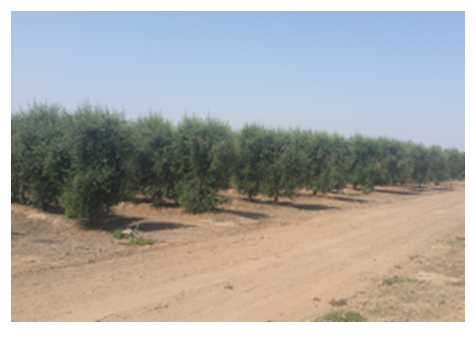 The main objective of the showcase is to demonstrate different technologies that may be useful for farmers to control the irrigation status of an hedge olive plantation. The main objective of showcase is showing different technologies that may be useful to farmers to control the nutritional status of the crop in different moment of the crop cycle. An action plan was set up in order to develop good agricultural practices targeted to the reduction of nitrate contamination such as water analysis, use of slow/controlled release fertiliser in the growing media and/or use of protective barriers to nitrate leaching into the ground. 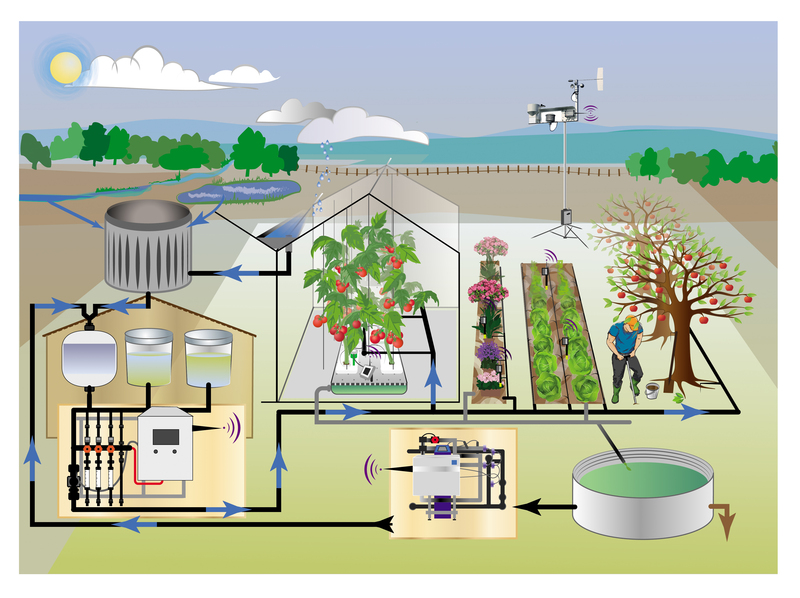 Deep Flow Technique (DFT) is a hydroponic system for the production of for example leafy vegetables (lettuce, endive, spinach, wild rocket, and radicchio), herbs (mint, celery, and basil), cabbages and cut flowers (chrysanthemums). 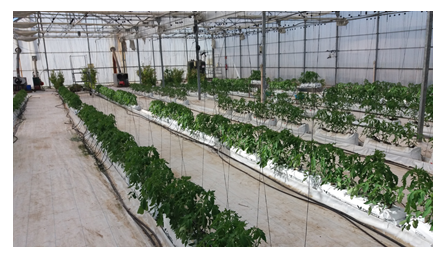 The main objective of the project is to assess and showcase the use of a system of constructed wetland + carbon supply for desalination and denitrification of leachates generated in greenhouse recirculating soilless vegetable crops (tomato and cucumber) in Almeria (Spain). 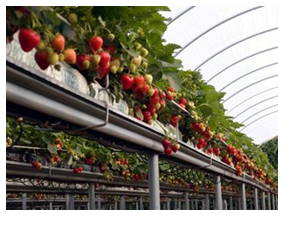 The main objective of this project is to showcase new innovative technologies that can help growers to improve their management of fertigation for soilless soft fruit production. 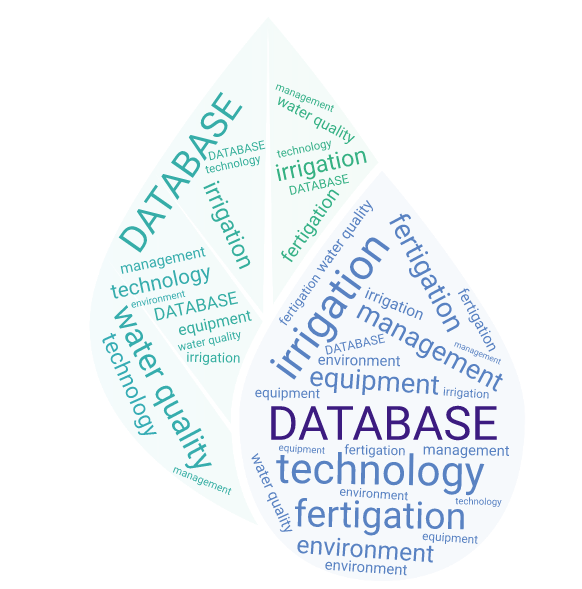 We selected and combined various measurement technologies to control the level of water and fertiliser and supply these elements according to crop needs. The technology selected for showcasing consists of a prescriptive-corrective management package for N management of vegetable crops. 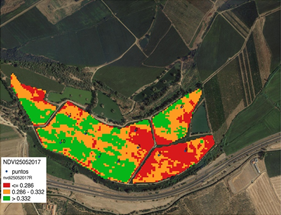 For prescriptive management, a N fertiliser plan is prepared for the crop using the computer-operated decision support system, VegSyst-DSS. For corrective management, three monitoring approaches are used regularly throughout the crop to ensure that N management is optimal. The technology selected for showcasing consists of tensiometers provided with a switch that automates an electrical accessory. It is expected improvement of irrigation management by reduced water use and minimised leaching. 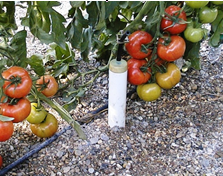 VEGSYST: Irrigation management and nitrogen fertilisation in soilless tomato system. A test with fresh tomato will be carried out in a cycle that comprises from March to October. 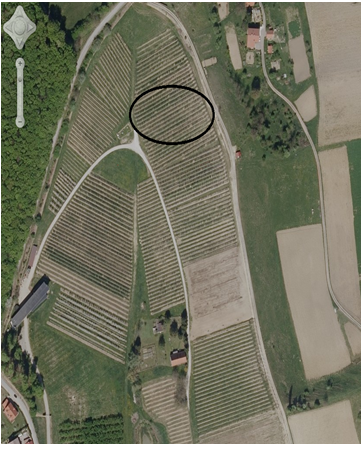 The Vegsyst DSS will be used to compare it with the area usual management and to check the results of yield, water consumption and fertilisers. 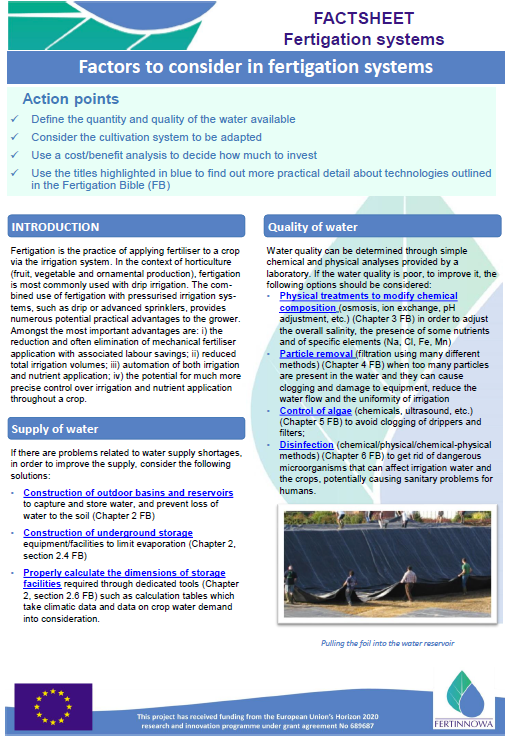 We want to spread knowledge around Europe about the necessity of recirculation and environmental safe water discharge. 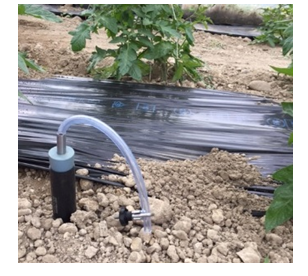 Therefore, it is also important to have also good knowledge about irrigation measurement and fertiliser precision dosing to close the water cycle more and more. 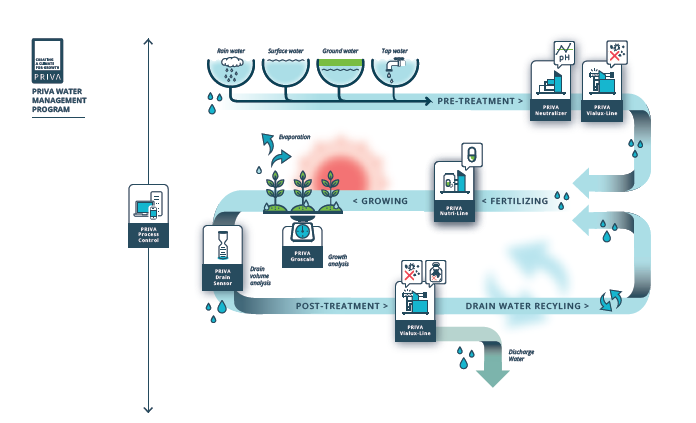 The objective of this demonstration is to assess the efficiency of different treatment methods to prevent the development of pathogens (fungi, bacteria) in the irrigation system when the drainage is recirculated in closed or semi-closed irrigation systems. 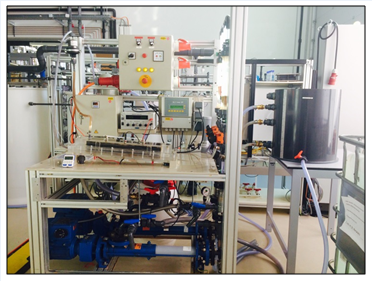 A new type of UV treatment system is tested, working with mid-pressure UV light. Also a biofilter seeded with specific bacteria mix is used as another treatment. 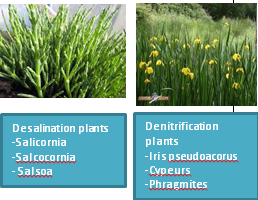 A monthly analyse show the pathogens present for both irrigation systems before and after the treatment. 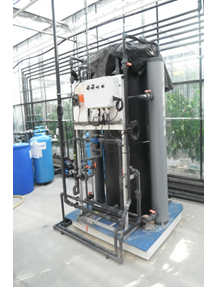 Water treatment system AQUA4D to improve nutrient uptake and soil structure. 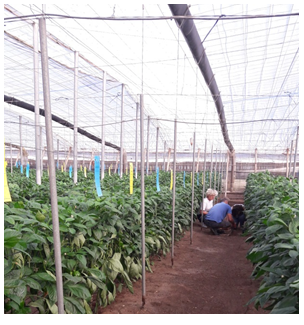 The electromagnetic treatment of the nutrient solution improves the nutrient uptake and the soil structure so we expect an improvement of the pepper yield. 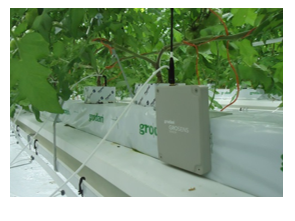 The main objective of the demonstration is to showcase the use of different interesting technologies to help growers with the monitoring of their crop water status. The ease of use of the devices will also be assessed. 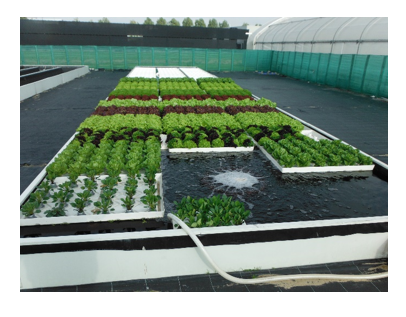 To remove nitrate and phosphorus and recover the later from the drainage water produced in PCS Ornamental Plant Research Center in Belgium as fertiliser. 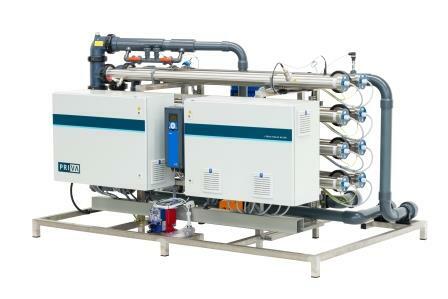 A combination of ion exchange and the electrochemical phosphorus recovery technology ePhos® will be employed.